ACIS, the leader in American Collegiate Intramural Sports and national college marketing company, Campus Media Group have partnered to offer national brands SportBoards™ advertising that leverages universities’ intramural and fitness infrastructure. 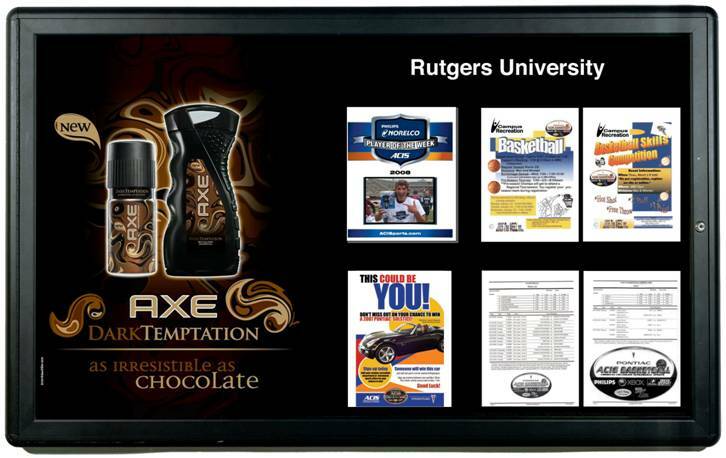 SportBoards™ are located at nearly 200 colleges and universities nationwide are prominently placed in recreation and fitness centers on campus. 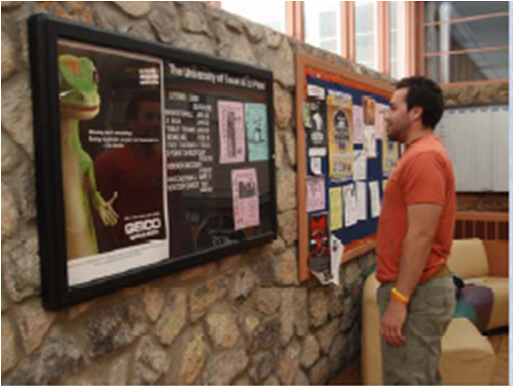 Along with poster-sized advertising space, SportBoards™ contain information relevant to the active student’s life including intramural sports schedules, aerobic class information, and other recreational sports information. “Providing a way for brands to get in front of athletic college students in a positive and University approved way has always been a goal of ours,” said Joel Eisfelder, Director of Media for Campus Media.” SportBoards reach millions of college students every week, and at a lower cost than magazines, radio, or television” said Eisfelder. The partnership between ACIS and Campus Media Group announced today allows ACIS to concentrate fully on developing custom brand sponsorships of their Intramural Sports and Fitness programs. “We are excited to team up with Campus Media Group to expand the reach of our ACIS SportBoards property to new national advertisers,” said Allen Patapoff, Vice President of Client Services for ACIS. According to ACIS, nearly 1 million college students participate in some form of recreational sports or fitness every day.